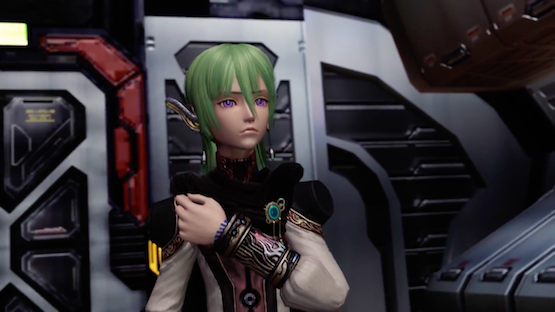 The remastered Star Ocean: The Last Hope PS4 port is set to release tomorrow, November 28, and now publisher Square Enix has released a new trailer showing off the role-playing game. The video is over three minutes long, and features 4K gameplay of the remastered Xbox 360 and PlayStation 3 title (which originally released in 2009). The Last Hope serves as a prequel to the original Star Ocean. The remaster, which will feature the game in 4K and “full HD” for the first time will cost $20.99 on both the PlayStation Store and Steam. From November 28 running through December 12, any PlayStation Plus members who purchase the game will receive a 10% discount. If you purchase the game on the PS Store before January 8th, you’ll also receive an exclusive PlayStaton theme and 12 PlayStation Network Avatars. That’s a cool bonus, especially for those that missed out on the game when it originally released. The original Star Ocean: The Last Hope released way back in February of 2009 on the Xbox 360 and was followed by a release in 2010 for the PlayStation 3. At the time, those games only ran at about 720p, so the jump to 4K resolution on the PlayStation 4 Pro and “full HD” for the standard PS4. In addition to the revamped visuals, the PS4 port will also support trophies and sharing functionality. The Star Ocean: The Last Hope PS4 remaster will launch on November 28 as a digital title in Japan and North America. Are you excited to pick up the remastered RPG? Let us know in the comments below!